A hip replacement is when a surgeon removes the damaged parts of the hip joint and replaces it with an artificial joint. There are several conditions which may damage the hip joint. These conditions include osteoarthritis, rheumatoid arthritis, and osteonecrosis. Osteoarthritis is caused by wear and tear on the hip. 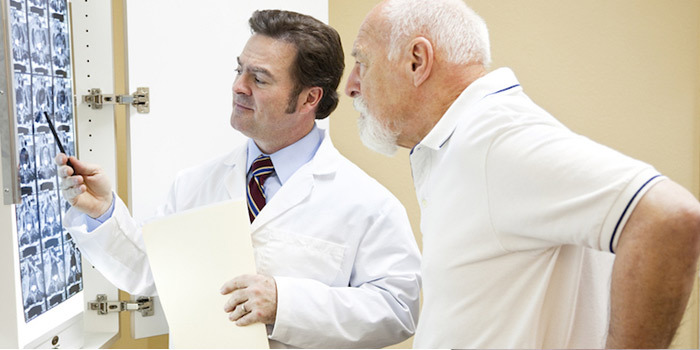 Rheumatoid arthritis is caused by inflammation which damages the cartilage and joints. Osteonecrosis is when there is a poor blood supply to the hip joint causing the bone to either collapse or deform. Symptoms of severe hip pain include intense pain (even when on medication), using a cane or walker to move around, poor sleep, being unable to walk up and down the stairs, and having difficulty rising from a seated position. If you experience these symptoms you may be considered for a hip replacement to relieve your pain. Hip replacement surgery can reduce the pain and increase your range of motion by correcting the hip joint. Hip replacement surgery is a procedure when a doctor removes a painful hip joint and then replaces it with an artificial joint. This artificial joint is made out of metal and plastic components. Following the surgery patients tend to stay in the hospital between 4 to 6 days. It is also important to keep a cushion between the legs when resting in bed in order to keep the hip joint in place and to stop it from moving around. Once a patient leaves the hospital they undergo physical therapy lasting between weeks to months following the surgery. It is especially important to avoid twisting the hip during the first year of recovery to avoid the hip shifting out of place.It is also important to avoid high impact activities such as running since it can put too much strain on the artificial joint. Activities that are okay to do following your surgery include swimming, hiking, and biking. This will likely qualify you under the disability section entitled walking impairment. Patients who are eligible for this disability tax credit program must have difficulty moving around and require a cane or walker to assist them. They must also take an inordinate amount of time to walk even with appropriate therapy, medication, and devices. To be considered as markedly restricted, you must have difficulty walking 100 metre and move significantly slower than the average person. It may either take a great deal of time to do so, or you may experience shortness of breath or pain. How To Apply for Disability Tax Credit for Hip Replacement? To apply, our experts will assist you in filling out form T2201 where you will need to get your medical practitioner to complete this form. This will ask your doctor to describe how you are impaired by your disability. It is important to be descriptive in this section as a patient can be affected in a variety of ways by Hip Replacement.